This arts and entertainment documentary, commissioned by Bravo! captures a site-specific multi-disciplinary art festival in Grasslands National Park, just outside Val Marie Saskatchewan. Dance performances by Margie Gilles, the Coleman-Lemieux Dance Company and Robin Poitras of New Dance Horizons combined with the sound design of Gordon Monahan and the breathtaking beauty of the prairie landscape creates a new meaning to collaborative art. Hats-off to the residents of the ranching community of Val Marie for opening their hearts and homes to the artists who together, turned their entire village into an incredible platform for creativity. Directed by Don List. TIMES: screening starts at 1:00 p.m.
Grasslands: Where Heaven Meets Earth. Photo courtesy Coleman Lemieux. This short film will precede Grasslands: Where Heaven Meets Earth. 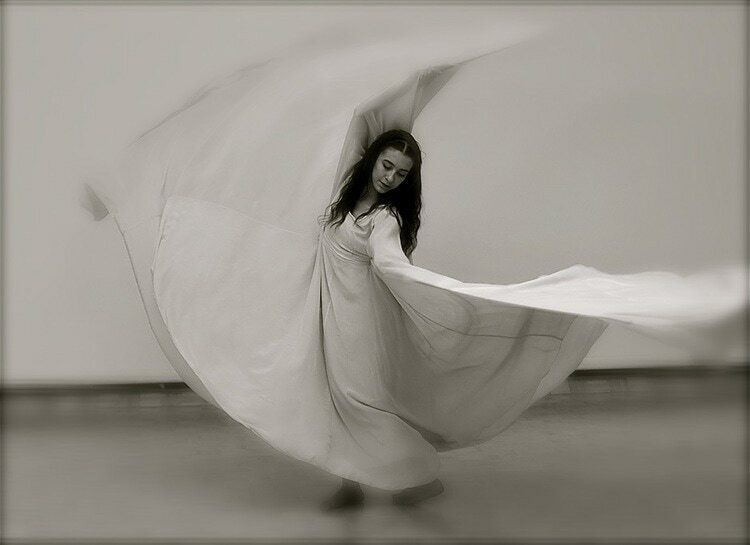 A selection of still, video, film documentation from New Dance Horizons’ history that note the relationship between the body in motion and the natural world. House of Chow Mein by Rouge-gorge production company.